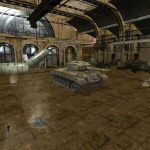 Special hangar blitzworldoftanks.ru | WoT Blitz 5.9 - Fan Site! Friends and brothers-in-arms! 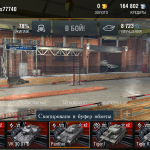 We offer an unusual and beautiful hangar from our favorite fans. 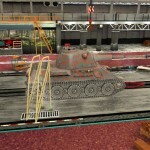 The hangar is specifically designed for our site Blitzworldoftanks.ru (it is our russian community). Hangars of similar type have been developed, but our hangar is more brighter and better. Aesthetically designed colors, good lighting, and a lot of signs and banners with the data on website and group in VKontakte. 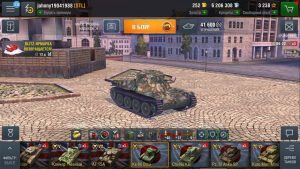 On our site, Blitzworldoftanks.ru, you will find the most popular and useful mod for the current version of the game World of Tanks Blitz. 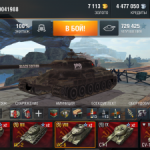 And in group VK you will see all the latest news in the world of tanks and funny memes and jokes. 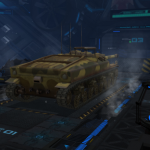 This mod is author’s work from our permanent modder Koks77740, we thanks him a lot. 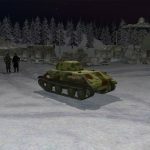 In the archive you will find 2 options of mod to choose from: bright and darker. 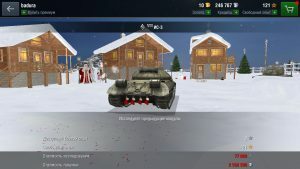 In general, for all fans and users of our website we offer an excellent and stylized hangar which called World of Tanks Blitz.